Deb, over at Ukok's Place, is starting a novena to St. Joseph today. Won't you join us? DH's income has been dwindling and we need a turnaround immediately in order to retain our home and allow me to continue staying home with our children. 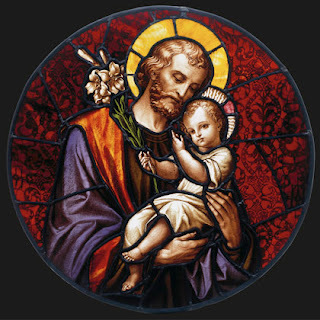 We've been praying and praying, and this novena to St. Joseph comes at a crucial moment. I will include your intentions in our family rosary, Melanie. Sorry things are tough for you all right now.